In the digital era, you can get access to various digital terms every day. In recent years, HDR is another popular term which can be commonly seen in our life. At the same time, a lot of other names may appear with of HDR, for example, 4K and Dolby Vision. If you have strict requirements about the picture quality while watching a movie on your TV at home, then you must be very familiar with these terms. In order to present a more comprehensive introduction about the video and sound effect on your TV, today our focus will move to Dolby Vision which is a standard for the way certain TV content is produced. Part 5: How to Play 4K Movies on Computer with Leawo Blu-ray Player? As the brand name for a High Dynamic Range 4K video format, Dolby Vision is a kind of technical term which is the standard for the way certain TV content is produced. It is a kind of end-to-end process that creates the content to be viewed on a TV at home. With the technology of Dolby Vision, you could be able to obtain the viewing experience with incredible brightness, contrast and color which can bring entertainment to life before your eyes immediately. As the two HDR formats, both Dolby Vision and HDR are able to present users the excellent viewing quality. While talking about Dolby Vision, you have to mention HDR at the same time. Are there any differences lying between the two? Which one is better? HDR is mainly relying on the HDR TV itself to interpret the metadata and display it. In comparison, HDR content is mastered in up to 10-bit color depth which is lower than Dolby Vision content which is up to 12-bit. That is to say, the main differences between Dolby Vision and HDR lie in the color depth and brightness. Dolby Vision is able to deliver a more dynamic, brighter and livelier image than HDR could achieve. But various Dolby Vision systems present various image qualities because not all the Dolby Vision adopt the same advanced video processing technology. 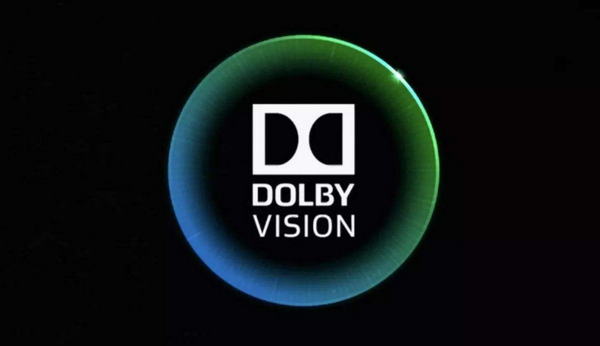 In the past years, since the Dolby Vision was born, it has been welcomed by a lot of users, especially movie fans. Why is it becoming more and more popular? Why to buy a Blu-ray player with Dolby Vision? Well, for the movie fans, what they care most is the quality and sound effect. Since the introduction of the Ultra HD Blu-ray, Dolby Vision has been included as an important and unnecessary UHD BD specification sheet. As an important factor to present the superior quality, Dolby Vision could be regarded as the most powerful key factor to present a high quality movie. Secondly, with the popularity of the better brightness and color depth that Dolby Vision brings to the TV, a lot of entertainment producers have gradually adopted this technology to their products, such as game console. The Dolby Vision has made these pixels that 4K has given really shine in a way they never have before. Things also go in the same way for the Blu-ray player. As the best way to enjoy movies, Blu-ray or Ultra 4K Blu-ray player can undoubtedly be able to offer the best movie experience for movie fans, furthermore, with the help of Dolby Vision, things can go even better. But here you have to pay more attention to an important point that Dolby Vision is a licensed video platform which means you have to guarantee that both the Blu-ray player and the Blu-ray discs you have bought are all capable of playing Dolby Vision. In order to be compatible with the Blu-ray discs with Dolby Vision, you have to prepare a Blu-ray player that supports Dolby Vision which has obtained the Dolby Vision license. Here, I will select the best 4K Blu-ray players with Dolby Vision for your further references. The first Blu-ray player with Dolby Vision I will put here is Sony X800 Blu-ray Player. With this player, you can easily enjoy Blu-ray disc movies in full HD 1080P as well as DVDs or CDs. As a quick and clean Blu-ray player, it can allow you to enjoy 4K Ultra HD playback, HDR10, Dolby Vision. It can instantly stream the online videos by connecting to the Internet. What’s worth mentioning, the player has adopted Dolby TrueHD internal decoding and bitstream output via HDMI. Without any doubts, it is one of the best Blu-ray players with Dolby Vision. Furthermore, it contains Wifi adapter and USB input that can share your videos or other digital resources on the big screen. 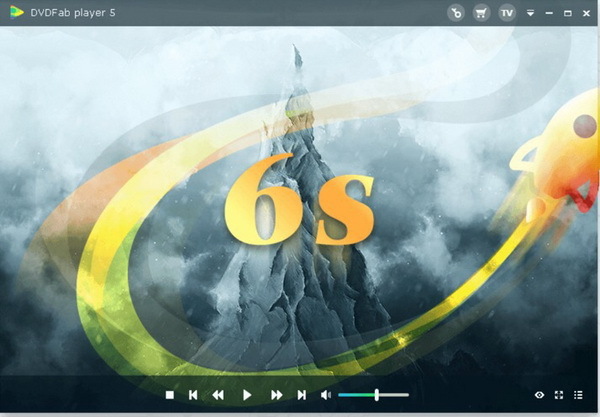 Just connect this player to your TV, and then you can be attracted by its superior video and audio effects. Also, streaming the content on YouTube and Netflix will be an easy thing. As another simple Blu-ray Player with Dolby Vision, Panasonic UB450 Blu-ray Player has laid out functions and high resolution pictures. It can allow you to pass through Dolby Vison Atmos via a third party sound system. As a player with surround sound system, users can easily obtain the best audio output at home with full original sound track retained during the playing process. 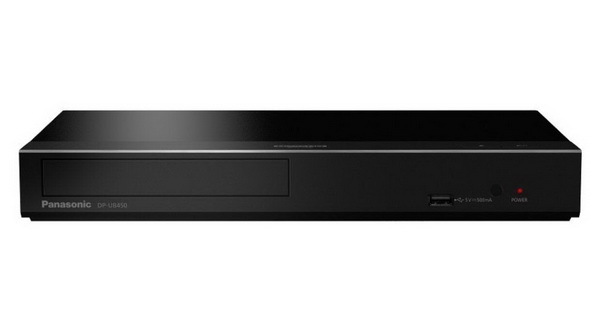 Furthermore, Panasonic UB450 Blu-ray Player is able to be connected to various online video resources. And also it can be able to stream different content on other digital media service platforms, including YouTube, Hulu, and Netflix and so on. If you are favored with LG products, then you can turn your eyes to LG UBKC90 Blu-ray Player. As one of the best 4K Ultra HD Blu-ray player with Dolby Vision, this player fully supports Dolby Vision and HDR10. It can easily present the superior video quality with true 4K upscaling. With this player, you can be accessible to all kinds of video contents online, that is to say you can stream the content on other platforms to the TV. It can offer the solutions for 4K Ultra HD Blu-ray discs, 3D Blu-ray discs and DVDs. As well, its internal built-in Wifi connector can allow you to surf the Internet with it anytime. First of all, I will introduce Leawo Blu-ray Player for your option. As a totally free media player, Leawo Blu-ray Player is able to support you with all kinds of discs formats and video formats, ranging from 4K Blu-ray discs to other common video formats. You can freely play and enjoy the 4K Blu-ray discs with it. 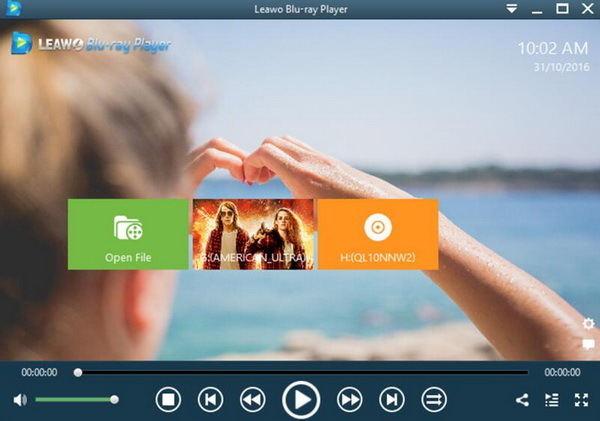 As a 100% free and 6-in-1 media player software, Leawo Blu-ray Player contains all media playback solutions you need for your leisure entertainment, including 4K, Blu-ray, DVD, CD, HD (4K), MPEG, WMV and so on. With advanced image and audio processing technology, Leawo Blu-ray Player provides you extraordinary movie playback and cinema-like experience. Furthermore, within Leawo Blu-ray Player, you could obtain the personalized settings according to your preference and all the settings could be done automatically. As one of the best Blu-ray player software available for music and movie lovers, DVDFab has been popular for years. This program could support a wide range of video formats, including 4K, UHD, HEVE, DVD, Blu-ray, ISO image files and so on. Also, if you want to enjoy a Blu-ray player with menu support, then it can meet your requirement because it offers you the navigation menu type support for Blu-ray videos. It has various interface choices for you and you can change multiple sets of designed skins freely. However, DVDFab is not a 3D Blu-ray player and it lacks the customizing features. Last of all, the last Blu-ray players for Windows will be listed here is AnyMP4 Blu-ray Player. 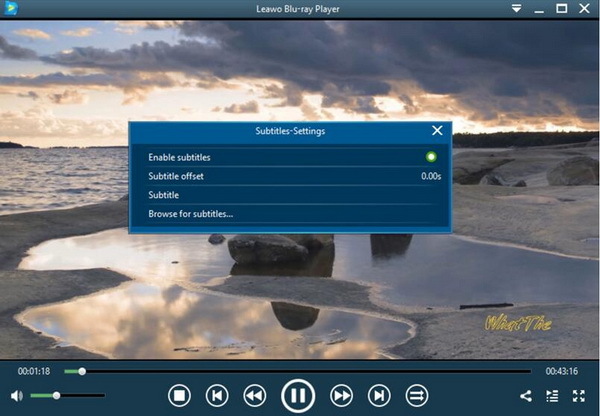 As an outstanding and professional Blu-ray player, this player enables you to play Blu-ray discs, files and ISO images. It is compatible with Windows 7/8/8.1/10/Vista/XP. Besides, you can use it to play 4K videos, 1080P HD as well as other formats videos. You can choose your preferred audio track and subtitles. If you only require a basic 4K player, then AnyMP4 Blu-ray Player will be your helpful hand and can meet your requirements with ease. After obtaining one of the most powerful Blu-ray players – Leawo Blu-ray Player, then you have to figure out how to play 4K movies on computer with it? In the following, I will list the detailed tutorial. Step 2. 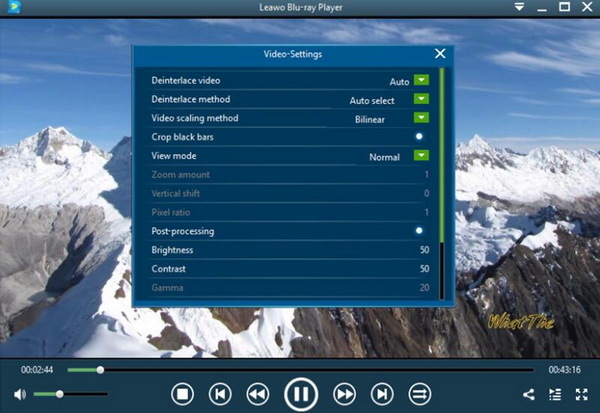 Enter the main interface and load the 4K movie on the computer by clicking the "Open File" button on the home interface. When you have imported the movie, then you can see it on the playlist. Step 3. Set subtitles. After loading the 4K movie, it will be played automatically. During the playback, you can move mouse to the title area. Then you could see 4 icons. Step 5. Set video and audio parameters. The video and audio setting process is as the same as subtitle settings. Click the second icon and the third icon in the title area to set video parameters and audio parameters respectively. The editing features of Leawo Blu-ray Player could allow you to obtain a customized video and will give you more special watching experience. 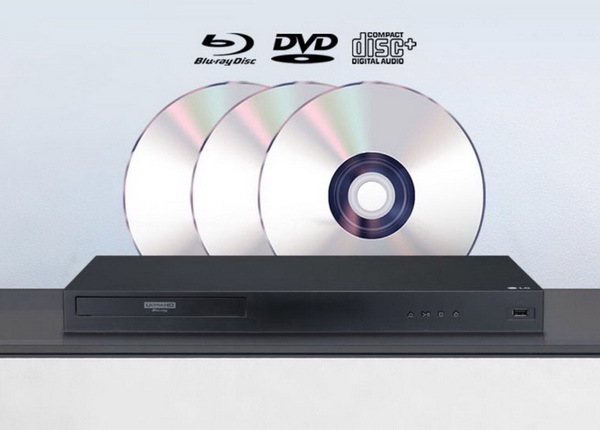 With such a totally free powerful 4K Blu-ray player at hand, you can easily obtain the best Blu-ray movie experience. If you budget is enough, of course, you can select one of the best 4K Blu-ray players with Dolby Vision mentioned above. Anyway, just depend on your own needs and enjoy the movies.